Medical Billing and Coding Program - Lower Price, Shorter Program! Medical Billing and Coding/Health Information Technicians are the health care professionals in charge of processing patient data such as treatment records and related insurance information. The Medical Biller & Coder program prepares students for a medical career in a non-patient setting. Upon completion of this program, the student can sit for a national coding exam to become a certified coder. Medical billers and coders are employed by coding companies, billing companies, collection agencies, clearing houses, physician’s offices, hospitals, clinics, consulting firms, insurance companies including HMOs, PPOs, IPAs, and foundations for health care, mental health care facilities. High School Diploma or GED required. All students must pass an English and Math proficiency test. To receive program certification students must complete all classes within a 2-year time frame. RoseAnna Alcala has been in the medical field for over 18 years. She has a double Bachelors of Science from Cal State Fullerton. She is currently completing the Masters program at National University. RoseAnna has held a variety of positions such as Office Manager, Supervisor for United HealthCare, Medical Biller, and Instructor teaching Medical Billing and Coding. She has established personal relationships with all the insurance carriers, has a passion for what she does and loves to teach others. 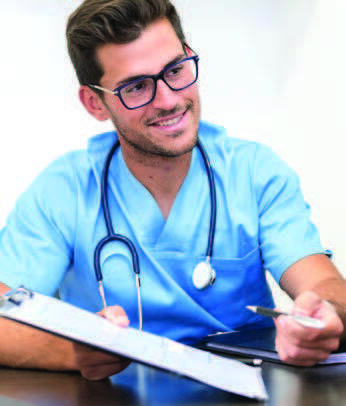 Students must start their training in Medical Terminology A or B (in no particular order) or be enrolled concurrently with another course within the program. Students are required to purchase scrubs. Scrub cost: approximately $26 per set. Students must purchase malpractice insurance $20. *If you are a Coder and need training for ICD-10 the Diagnostic Coding course is the class for you!